The Vice president, Yemi Osinbajo is currently in Makurdi, the Benue State capital for a two-day working visit. 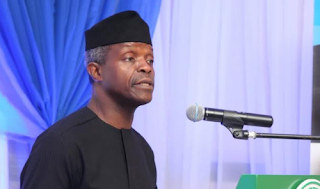 Osinbajo is expected to visit the Abagana Internally Displaced Persons (IDP) camp during his visit. He is also expected to hold a stakeholders’ meeting and visit Gbajimba and Anyii IDP camps.